You are here: Home » Supplemental Security Income » What do I have to report to the Social Security Administration once I start to get SSI benefits? What do I have to report to the Social Security Administration once I start to get SSI benefits? Find out everything you need to know about reporting changes for your SSI benefits and avoid SSI overpayments and underpayments. When you receive SSI benefits you must report improvements in your health and any changes in your income, resources, and living arrangements to the Social Security Administration so that they receive the report by the tenth of the month following the change. If you are an adult and receive your payment directly, you are primarily responsible for reporting changes, however, your spouse or anyone whose income is considered in determining your payment amount can also report changes that could affect SSI payment. If you are a minor, your representative payee has primary responsibility for reporting changes, although any parent whose income is subject to deeming may report. If you are an adult with a representative payee, the payee is primarily responsible for reporting changes, but you can make reports yourself. For information about representative payees, see our articles What Is a Social Security Disability Representative Payee? and What Responsibilities Does a Representative Payee Have to Maintain SSI Disability Eligibility for a Child? You will need your Social Security number and if you are reporting for another person who is the SSI recipient, the recipient’s Social Security number. You will also need the date that the change took place. You may report in person or by mail. In some cases, you may report by telephone or online. SSI eligibility is determined on a month by month basis. Everything that the SSA asks you to report could change the amount of your SSI monthly payment due in a subsequent month. For more information about when income is counted in determining benefits, please visit our article When I Complete My SSI Application Form, I Am Asked to Declare My Income. Does All My Income Affect My SSI? If your report is late, you could be penalized with a reduction in your SSI payment in the amount of $25 to $100. If you give false information or withhold important information that affects your benefits, you could be sanctioned, which means that the SSA could suspend your SSI payments for a period ranging from six to twenty-four months. You move or change your address. In addition to notifying the post office, provide SSA with your new resident address and phone as soon as you know them, even if you have direct deposit or Direct Express® for delivery of your payment. This is important because SSA has to review with you your new living arrangements to determine whether your payment amount should change or remain the same. Additionally, if your mail from SSA is returned your payments may be stopped. If anyone else who is moving with you gets Social Security or SSI benefits, tell SSA their names too. If your move involves moving into or out of someone else’s home, be sure to let the SSA know as the change might increase or decrease the SSI benefits you are due. You change direct deposit accounts. When you want your SSI benefits paid to a different bank account, be sure to keep the old account open until the first payment goes into the new account. It takes thirty to sixty days for SSA to process the change. Be sure to sign up for direct deposit with your financial institution. Another alternative is to call the SSA and have your direct deposit information changed over the telephone. You will need both your new and old bank account numbers handy when you call SSA. You can find them on your personal checks or account statements or on the paperwork the financial institution gave you when you opened the account. If you receive an incorrect SSI Payment that is wholly or in part not due to you, notify SSA immediately and be prepared to return the overpayment at the time you file the report. If you are getting SSI because you are disabled and your health improves substantially, you must report the improvement so that the SSA can determine whether you are still disabled according to SSI disability laws and still eligible for payment. Someone moves into or out of your household or a member of your household dies or is born or adopted. This report is important because SSA may need to recalculate your benefit because such a change may result in a change of in-kind support or deemed income. For a discussion of how living arrangements affect your SSI benefits, see our article Why Will Social Security Ask about my Living Arrangements When I Apply for SSI Disability? For an explanation of deemed income, please see Why Do I Have to Give Information about My Family’s Income and Assets When I Apply for SSI Benefits? You start or stop work or have other work-related changes. Report right away if you start or stop work. Let the SSA know when there is any change in your work duties or pay or when you start working for a different employer. Be prepared to provide the following information: your job title, job duties, work hours, the rate of pay, and the name and address of your employer. 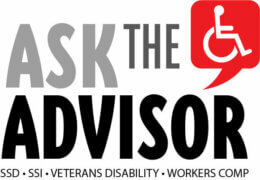 Additionally, report if you start or stop paying for work expenses that are related to your disability. Wages need to be reported monthly by mail, by fax, or in person so that they are received by the tenth of each month. If you qualify for telephone reporting of wages, you must report by the sixth of each month. If you are self-employed, you must provide equivalent information for self-employment activity and provide SSA with an estimate of gross earnings and business expenses. You must also maintain business records and provide SSA with a copy of your federal income tax return annually. There is a change in your income or the income of family members. You must report all changes in your income including new income and income that ends or changes in amount. Be prepared to provide verification of the change. SSA does not count many kinds of income against your SSI payment, but the laws governing income for SSI are quite detailed. Therefore, it is important to report all changes, rather than trying to determine what is and isn’t countable. If you are married and live with your spouse, you also need to report changes in your spouse’s income and in the income of any children in the household. The only exception is that you do not need to report increases in your Social Security benefits.If your child under age eighteen gets SSI and lives with you, you also need to report changes in the eligible child’s income, your income, and the income of any child in the household who does not receive SSI benefits as well as the other parent’s income if the other parent also lives in the household. If you or an SSI-eligible gets married or divorced, report the change in status to the SSA so that they can re-figure your SSI payment. Also, report if you become separated from your spouse. You change your name by marriage, divorce, or court order. Report your name change as soon as possible so that you do not encounter problems cashing a check, using your Direct Express® card, or receiving direct deposit of your SSI benefits. There is a change in your resources. Tell the SSA if there is a change in what you own. Many assets do not count toward the $2,000 limit for individuals and $3,000 limit for couples, but it is best to report all acquisitions and dispositions to avoid overpayments. Report immediately if your resources go over the resource limits. Sale of an excluded asset may affect your eligibility in the following month, so it is important to report the sale of real estate or an automobile. If your child is receiving SSI, then it is necessary to report both changes in what the child owns and what the child’s parent owns if the parent lives in the same household. If you are getting provisional payments while trying to sell a resource, let the SSA know as soon as the asset has been sold and retain the funds from the sale to repay the provisional payments. Someone starts or stops paying for your living expenses. Let SSA know if someone gives you money, food, or free housing or if someone pays for your food, utilities, rent or mortgage. Also, tell SSA if you stop receiving such assistance. You enter or leave an institution. Report as soon as possible if you enter or leave a hospital, nursing facility, intermediate care or residential institution, halfway house, prison, jail, or public emergency shelter or any other kind of institution. Your SSI may or may not continue depending on the type of institution, the length of your stay, and who covers the cost of the stay. Report promptly to avoid possible overpayments. It is a good idea to arrange in advance for a friend or relative to report such a change to SSA in the event that you are unable to do so. For more information about how residence in an institution affects your SSI eligibility, see our article Why Will Social Security Ask about my Living Arrangements When I Apply for SSI Disability? You leave the United States. For SSI purposes, the United States means the fifty states, the District of Columbia, and the Northern Mariana Islands. It does not include Puerto Rico. If you plan to leave the United States, tell the Social Security Administration before you leave. Provide the date you plan to leave and the date you plan to return. Usually, you are not eligible for SSI after you have been outside the United States for thirty or more days in a row. Then you have to be back in the U.S. for at least 30 days in a row before you are again considered a resident. There are some exceptions. Dependent disabled children of military personnel assigned to shore duty overseas may be eligible to receive SSI while they are living abroad. There are also some exceptions for students studying abroad. You are under age twenty-two and have a change in student status. If you are under age twenty-two and are working, report to SSA the date that you start or stop going to school or change the number of hours per week that you are enrolled. The amount of SSI benefits you are eligible to receive may change based on your student status. The SSI recipient’s representative payee dies or misuses funds. If you become aware that your funds are being misused or that your representative payee dies, report this immediately to the Social Security Administration so that it can arrange for another representative payee. If the SSI recipient is not able to make a report, anyone becoming aware of such circumstances can report. You stop working toward your PASS goal or change your goal. If you have a Plan to Achieve Self-Support, which is also called a PASS, and you stop following the plan or change your goal, you must report the change because you may no longer be eligible to set money aside for the PASS and your SSI benefit may be reduced or terminated. Some immigration statuses allow for the receipt of SSI benefits. Others do not allow payment or limit the period of time you can get SSI. Therefore, it is very important that you report any change in your immigration status. Usually, if you become a U.S. citizen you can continue to receive SSI. If your status changes from a refugee or refugee-similar immigration status to becoming a permanent resident, your SSI may continue for a time. Changes in your sponsor’s and your sponsor’s spouse’s income and resources. If you came into the U.S. with a sponsor, who must report changes in your sponsor’s income and resources and changes in the income and resources of your sponsor’s spouse. The person receiving SSI dies. Report to SSA as soon as an SSI recipient dies. Any SSI payment that has not been cashed or deposited before death is not due and must be returned. Additionally, if the deceased’s SSI payment was being sent to a bank, any monies deposited after the person’s death must be returned to Social Security. Notify the bank as well as SSA. The bank will take care of returning the funds. Any change that occurs at a time that the SSI recipient is not well enough to report. Arrangements should be made in advance for someone who is in frequent contact with the SSI recipient to report any changes that the recipient cannot report. The SSI recipient is no longer able to manage his or her funds. Someone should report to SSA if the person receiving SSI loses the ability to direct the use of his or her funds so shelter, food, medical care, other basic needs are met before less basic purchases are made. Should this occur, SSA can appoint a representative payee to receive the SSI payment and see that the SSI recipient’s needs are met. The SSI recipient goes to jail. If the SSI recipient goes to jail and is expected to be in jail for thirty days, someone must report because he or she will not be eligible for SSI benefits. If you live in one of the named states, also report the following changes, which may affect the amount of SSI state supplement you are eligible to receive. California—Let the SSA know if you were regularly eating your meals outside your home and start eating at home—or vice versa. New York—Report if you were regularly eating your meals outside your home and start eating at home—or vice versa. Also, report if you live with other people and begin to prepare your own meals by yourself rather than preparing meals with others in the household—or vice versa. Hawaii, Michigan and Vermont—Let SSA know if you live in a facility that provides different levels of care and your care level changes. For example, you might move from an assisted living apartment to a nursing home in the same facility. Massachusetts—Tell the SSA if you or you and your spouse either stop paying or start paying more than two-thirds of the living expenses for the household in which you are living. Just a reminder: Any of these changes may result in a change in your SSI benefits. A prompt telephone report by the sixth of the month after the month in which the change occurs or an in-person or mail report received by the tenth of the month will protect you from overpayments or underpayments. What other help can I get after I meet the SSI Disability qualifications and get an SSI approval?